Ruston High School has a long history of producing top teams and top players. They are off to a decent start this year going 2-2. 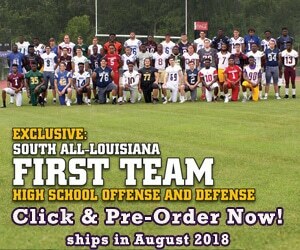 Jekevin Carter, Ben Leblanc, and Seth White are today’s top recruits. All three of these guys will look to make a major impact this season in order to make a deep run into the playoffs. Meet all three in today’s Recruit Videos!